For nearly eight years, we’ve been working towards a future without the tired, drunk or distracted driving that contributes to 1.2 million lives lost on roads every year. Since 2009, our prototypes have spent the equivalent of 300 years of driving time on the road and we’ve led the industry from a place where self-driving cars seem like science fiction to one where city planners all over the world are designing for a self-driven future. Today, we’re taking our next big step by becoming Waymo, a new Alphabet business. Waymo stands for a new way forward in mobility. We’re a self-driving technology company with a mission to make it safe and easy for people and things to move around. We believe that this technology can begin to reshape some of the ten trillion miles that motor vehicles travel around the world every year, with safer, more efficient and more accessible forms of transport. We can see our technology being useful in personal vehicles, ridesharing, logistics, or solving last mile problems for public transport. In the long term, self-driving technology could be useful in ways the world has yet to imagine, creating many new types of products, jobs, and services. 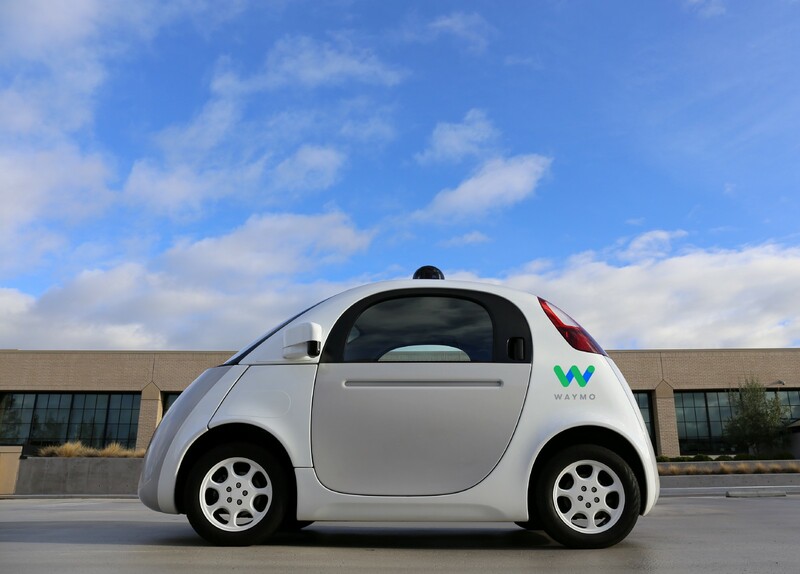 Waymo may be a new company, but we’re building on advanced self-driving technology developed over many years at Google. On October 20, 2015, we completed the world’s first fully-self driven car ride. Steve Mahan rode alone in one of our prototype vehicles, cruising through Austin’s suburbs. Steve is legally blind, so our sensors and software were his chauffeur. His route reflected the way millions of people could use a self-driving car in everyday life: riding from a park to a doctor’s office and through typical neighborhoods. This ride was possible because our cars can now handle the most difficult driving tasks, such as detecting and responding to emergency vehicles, mastering multi-lane four-way stops, and anticipating what unpredictable humans will do on the road. We’ve honed these skills over 2 million miles of real-world driving, and in the last year alone we’ve completed one billion miles of testing in simulation. The ability to complete a fully self-driven trip on everyday public roads, with no test driver, was a big milestone for our team and the history of this technology. It was the signal that we could begin to shift our focus from foundational technical work towards launching our own company so we can offer many more rides, in more places, for more people. Since the early days of the project, our work has been shaped by feedback we’ve heard from the communities that will most benefit from self-driving cars. Our next step as Waymo will be to let people use our vehicles to do everyday things like run errands, commute to work, or get safely home after a night on the town. Most of us have been affected by the limitations of driving today in one way or another, whether helping a loved one who can’t drive, dealing with dangers on the road, or losing hours a week to traffic. For me, I think of my mom, who is an amazing 97-year old woman. She lives independently, but without a driver’s license. When I fly down to southern California to visit I often spend the whole trip driving her around to run simple errands and visit friends she can’t easily see on her own. There’s more work to do, but we can see the road ahead to a world where more people like my mom and Steve will be able to travel more easily and safely, driven by Waymo.